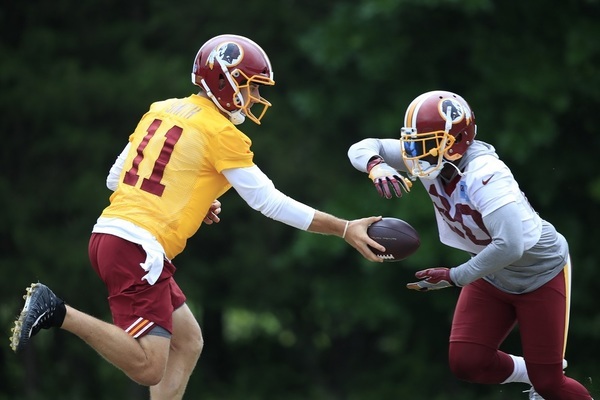 Welcome to our Redskins Training Camp live blog. WTOP Sports Director George Wallace will be on site in Richmond as the team prepares for the 2018 campaign, so stay tuned for updates all month long. Jay Gruden set to talk in next 30 mins or so. Players I'm most interested to hear about are Holsey, Doctson, McGee. Seems like Holsey is a definite for the PUP. I’m no @dougkammerer but this doesn’t look good from #Redskins Camp in Richmond. Meanwhile, Gruden confirmed @BenStandig report this afternoon that promising CB Josh Holsey entered camp with a "toe" injury. Been a thing for a bit. Gruden seems very clear that #Redskins have a plan for some guys coming off injury - Trent, Reed, Thompson - and will work them in smart. Team also invested in more rehab facilities. Gruden says figuring out how much to work guys coming off injury is "the $1M question." Guys need reps, but also need to take care of their bodies. Tight end Jordan Reed, left tackle Trent Williams, right tackle Morgan Moses and running back Chris Thompson all will be worked into camp slowly here. Reed sounds like he will be given a little more leeway. They won't mess around with him. Did Gruden just hint about Ty Nsekhe at guard? Did anybody else hear that? 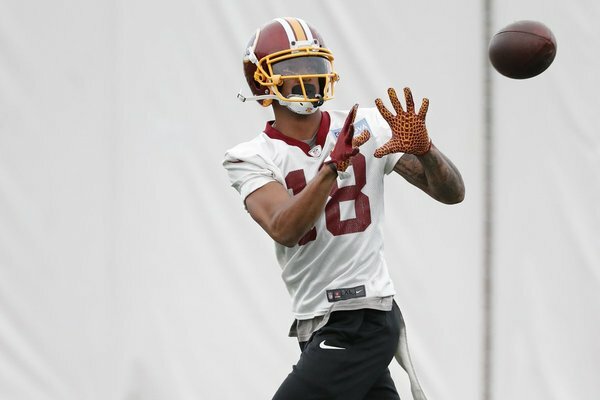 He said get "Trent, Morgan and Ty back in the lineup"
Gruden: "The big thing for me is to try and get these guys motivated on a daily basis so we get their best"
Bon Secours training facility has upgraded its medical facilities and so has #Redskins home facility in Ashburn, Jay Gruden said. Giving players a chance to recover quicker. 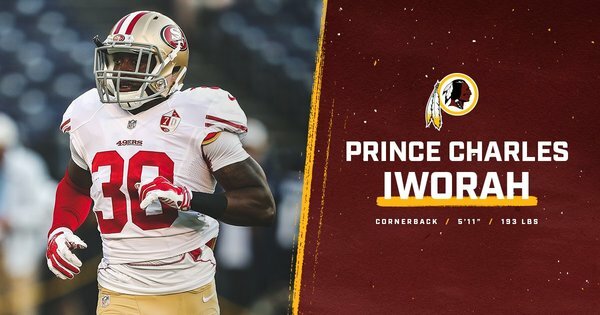 Jay Gruden said they will leave Nsekhe at tackle for now. when he gets back on the field? Who knows. But after last season they will be protective of depth at tackle. 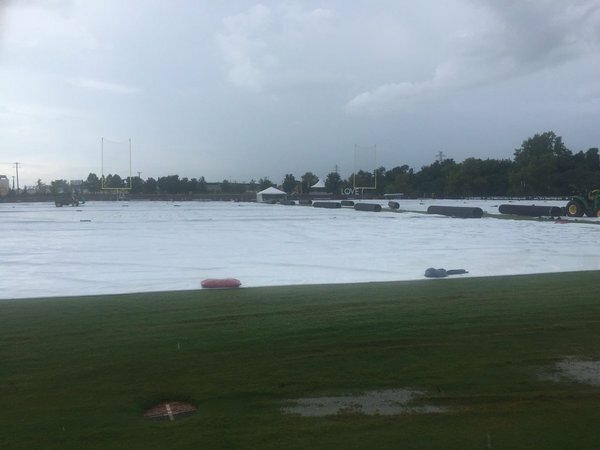 Gruden says the rain could have a "major effect" bc Bon Secours fields dont handle rain well at all. On Holsey: Yes, there's a chance he won't be ready for the start of the season. I believe @RapSheet reported that; was told that as well. It was a glass table that fell on his toe. A freak accident. If you can't tell, I'm in Richmond (!!!) for camp and @SportsCapitolDC . We'll be here pretty much every day getting you set for #Redskins season. Follow along with me, @BenStandig and @Todd_Dybas . Intern @bportnoy15 will be some, too.